After a damaging earthquake altered plans for their dream wedding in Napa, a La Mesa couple says the shaky start only reinforced what's truly important to them. Newlywed Caitlin Rasmussen recalls the moment a magnitude-6.0 earthquake struck on her wedding day. But despite the rubble and the wreckage, her love and commitment weren't shaken. There was no way she was not going to marry the love of her life. Thanks to the creative spirit of her friends and family, the bride and groom got to just that. And the Big Day was even better than they expected. 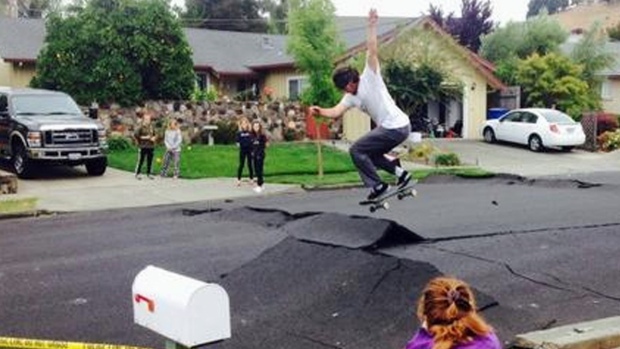 Sunday’s earthquake caused an estimated $300 million in damages and left hundreds of homes and private buildings red- or yellow-tagged in the community east of San Francisco. Caitlin and her then-fiance, Matt Rasmussen, immediately checked in with family and friends to make sure they were okay. Many reported damage in or around their homes. Just hours before they were to say their vows, the young couple didn’t know if the 125-year-old home they had picked for a venue had survived. Churchill Manor had sustained damage. However, the management offered to host the ceremony if most events were held outside. With manor employees unable to work, wedding guests cleaned up the outside of the venue and set up the tables and chairs before the ceremony. When the restaurant hired to cater the wedding suffered so much damage they had to cancel, friends and family stepped up. 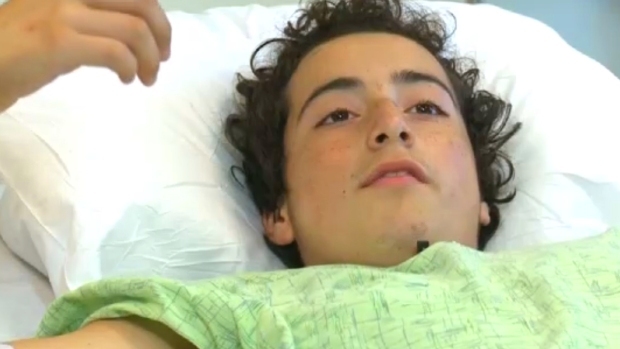 A teen seriously injured by a falling fireplace in the South Napa earthquake is recovering from a broken pelvis as his family counts their blessings that it wasn't worse. Ian Cull reports. Instead of the obligatory meat, fish and vegetarian wedding entrees, the Rasmussens had a barbecue food truck. Their wedding cake - something many couples discuss and plan for well before the ceremony - was purchased last-minute. “They were literally stopping at a Costco and Whole Foods picking up desserts for us,” said Matt. Caitlin says the day really put things into perspective for her. “None of those things matter. Getting married is really about us and our family,” she said.